Experience the stunning beauty of the Swiss Alps from the 3rd dimension, and at breathtaking speed: High and jagged peaks, narrow valleys, glaciers, beautiful green-blue lakes, rivers – a spectacular mountain scenery that is certain to take your breath away time and again. 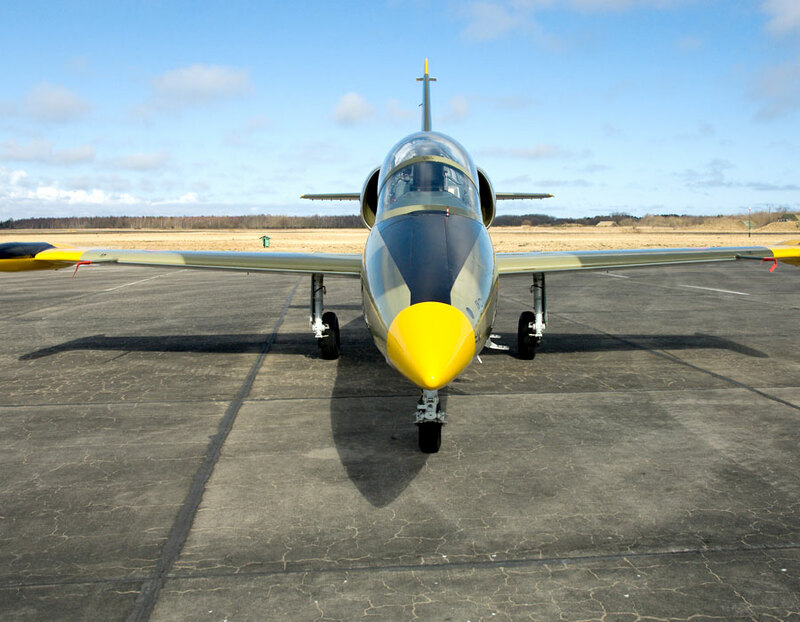 With MiGFlug you have the opportunity to fly a double seated military jet trainer. Experience low passes over mountain peaks and low-level flying through narrow valleys. Compared to the larger Hawker Hunter, the L-39 flights come at a significantly lower price, which makes it very interesting. 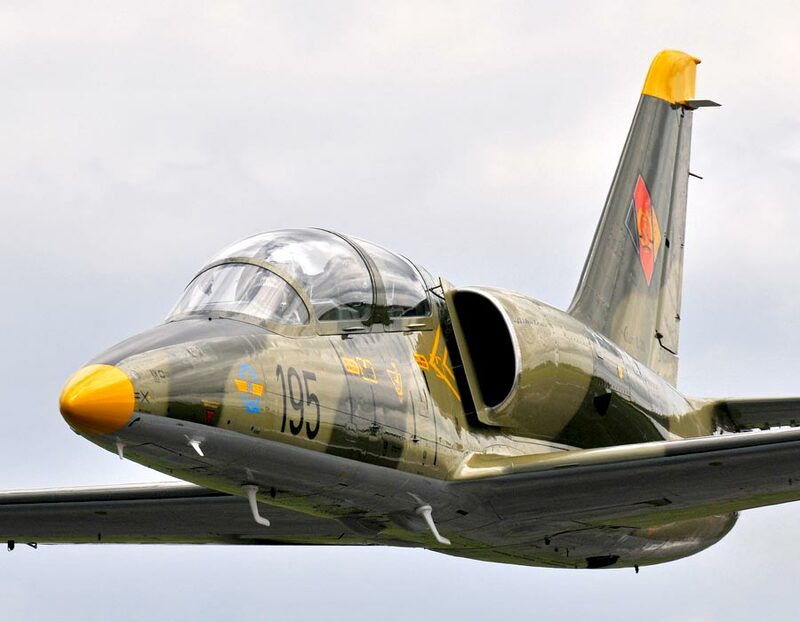 The L-39 Albatros flight operations will start in March 2019, with flights on March 8-10. They will continue in June (dates to be defined) – in not too long a regular flight operation is planned, with an L-39 jet based in Sion. 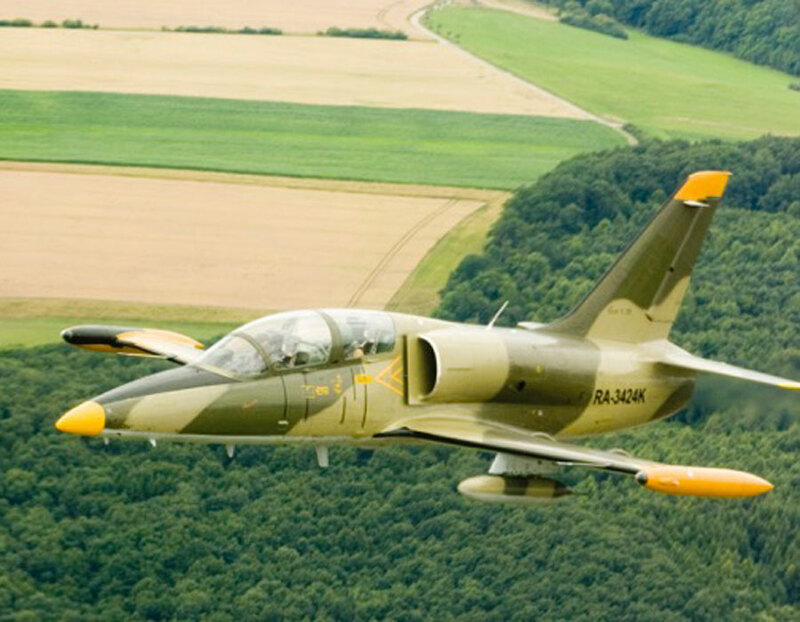 The Aero L-39 Albatros was already operated from Sion with flights offered from Sion in the Canton of Valais, and was a huge success – with enthusiastic customers. It makes a huge difference if flights are done over a rather flat territory, or over a mountain landscape. You will fly with professional Swiss pilots that are very familiar with the Alpine landscape, and who love every single jet flight they can do! Not only will they playfully fly in the Alps and take advantage of the unique landscape, but they will also do the key manoeuvres that every combat pilot needs to master for aerial battle: Loop, cuban eights, inverted flight, or controlled spins are just a few of the possibilities. A nice flight video package is included. Despite its neutrality and having been spared of both WWI and WWII, Switzerland is a fortified nation. Barely a country had the fight against the Cold War so much in its DNA as Switzerland. Also thanks to its Direct Democratic political system (where citizens once voted if they want to abolish the Army), all citizens had a very good knowledge of the armed forces in general. Also, even nowadays, there is as many as 1.3 atomic shelter places for every citizen – no other country comes even close to one. So, this odd country had digged not only a lot of armed forts and defense tunnels all over the Alps (many can be visited today), they also had many air bases in the Alpine area, where the aircraft are stored in the mountain. You can drive through the Alps and be sure you will see a couple of air bases and landing strips in the valleys. And from one of these stunning Alpine air bases, surrounded by high mountains, you will take off. 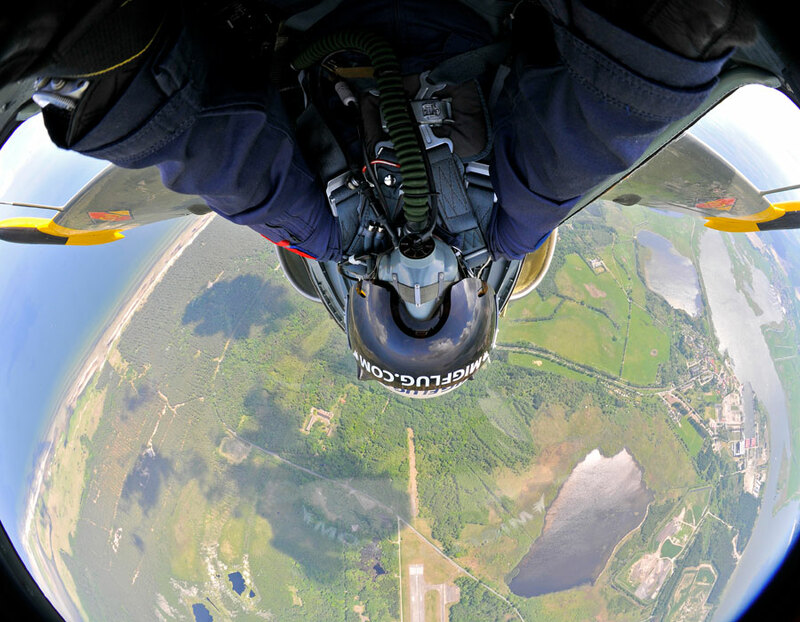 Ready for your Swiss Fighter Jet Adventure? Complete the booking form and you will hear from us! The best gift for the best person in this World – flying in a real fighter jet in the Mountains of Switzerland!